Are You Doing Your Homework, St. Augustine's? Pledge Card Sunday is Sunday. So is All Saints' Day. 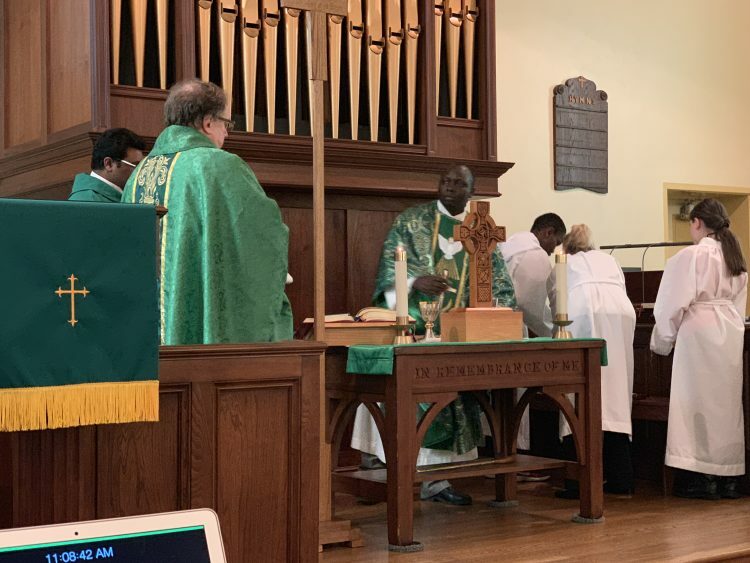 Voting for new vestry members is November 4 and November 11 . Each member of the parish has the opportunity to vote to fill 4 seats. One Meal at a Time is Thursday, November 8th. 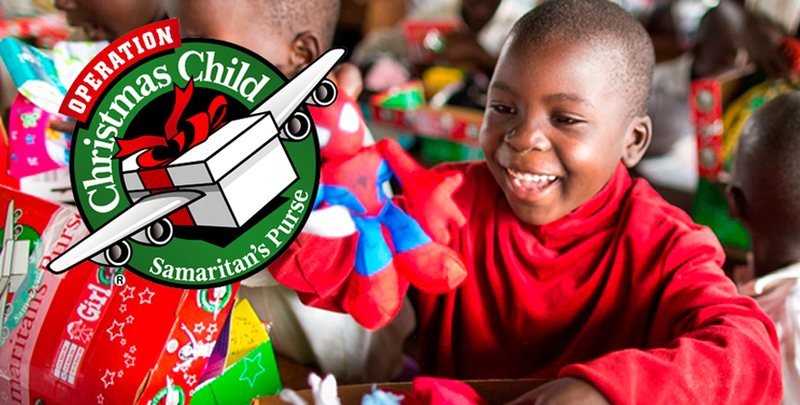 The Operation Christmas Child Shoeboxes are due November 11th. 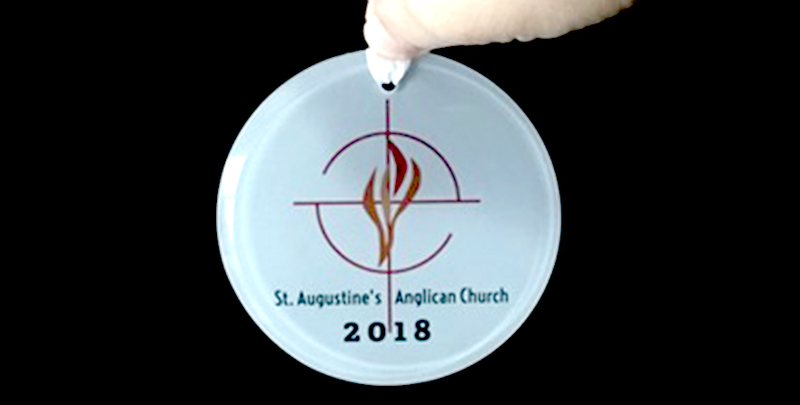 We are selling St. Auggie's 2018 Christmas ornaments to support the building fund. $10.00 each. The Chili Cook-Off is November 16 . Get your recipes ready. And...BIG Sunday is deferred to November 11th. November is around the corner and Thanksgiving will be here soon. St. Augustine's has again partnered to help the Byron Saunders Foundation in its efforts to provide Thanksgiving meals to families in need in the Central Ohio area. This year, the goal is to reach over 6000 families! Would you like to be a part of this ministry? 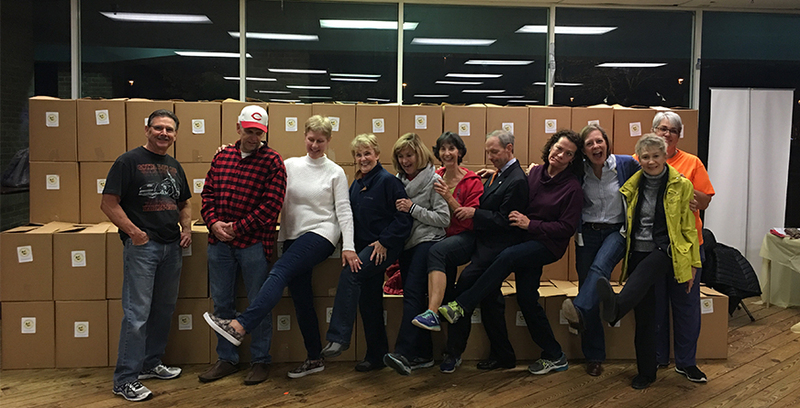 We will be packing Thanksgiving boxes at their new storage and packing facility in Groveport. This is always a fun evening -- lots laughter, reconnecting with our friends at Byron Saunders and good will! 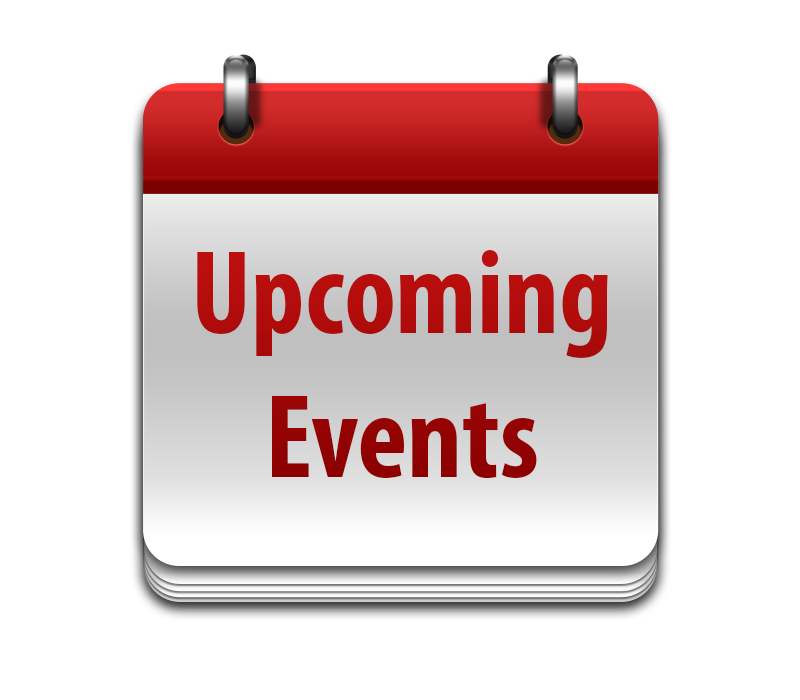 Thursday, November 8 from 4:00-6:45 p.m. Volunteers will be required to sign in at the Reception Desk for CWI Gifts. Once you have signed in there you will need to go back to the other end of the building to park and work on the project. Volunteers will sort, count and log all donated food and will also put together meal boxes. Please let Beth Buehler know if you are able to help. A group of 8-10 is ideal to get the meals packed and ready to go! Children 7 and older are welcome to come and help. • Pack a shoebox! We’ll have bags available after service on Sunday to take home, fill with materials (suggestion list is included!) to return for our girls to pack into boxes during collection week. • Donate “Wow!” items or everyday essentials! Find a great deal on toothbrushes or bar soap? Buy multiples and donate those to be included with boxes that we’ll be assembling. • No time to shop, but still want to help? We will happily accept donations toward shoebox postage; it costs $9 postage per box to ship these to children everywhere. Envelopes will be available after service! • Pray with us! Collection week is Nov. 11-17th, and we’ve got a special prayer bookmark reminder to help you through the week! All donations DUE Sunday, 11/11 at church. The Troop will pack materials on 11/13, and then will be taken to our local drop-off center by 11/15. Additionally, you’re welcome to come to our Troop meeting on 11/13 (around 7:30 PM) to pray over the boxes once they’re packed, enjoy some light refreshments and meet our Troop members and families, please let me know as so I can make arrangements for visitors. Join our American Heritage Girls Troop OH2808 as we support this beloved mission of St. Auggie's! Whoa St. Auggie’s! We’ve got a contest brewing. As you all know, our annual all-congregation Chili Cookoff is just a few weeks away (Friday, Nov 16) and let me tell you, it promises to be a donnybrook. 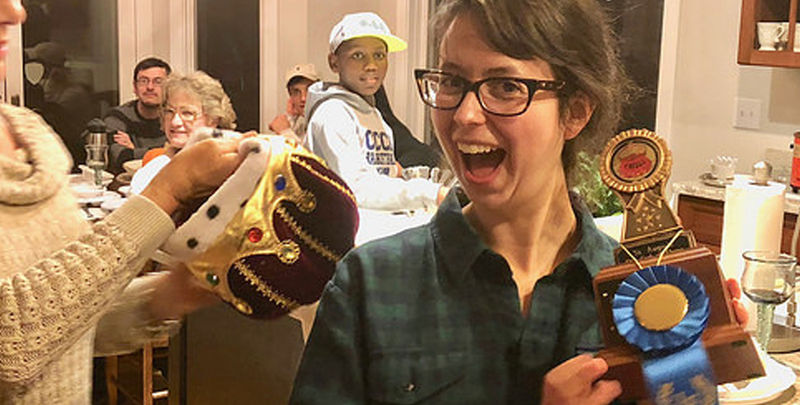 At Vestry a couple of weeks ago, two-time winner, Jeanie Patrick, challenged current champion and baker extraordinaire, Lauren Quayle for a showdown. She is aiming to take her crown back— and as we all know, she isn’t above bribing for votes. So pull out those chili recipes and give her a run for her money. And Dr. Falor, our Event Chair had the fabulous idea of turning this evening into a fund raiser for our Building Fund. So bring a donation of $2–or whatever more the Giving Elf is urging you to put in the piggy bank for our VERY OWN CHURCH. All this and karaoke too promises to be a most entertaining evening (think of those pictures we will have). Everyone is invited to come and enter to keep Miss Jeanie honest and give her a run for her money. 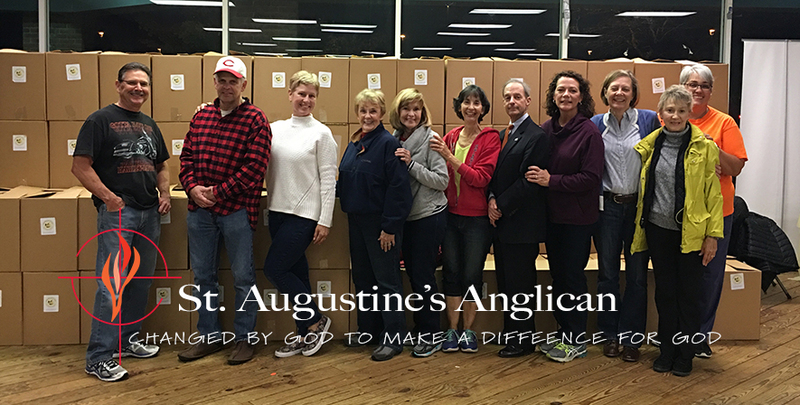 Thanks to a generous offering from the Winklers, the parish is selling custom-designed St. Augustine's 2018 Christmas ornaments to support the building fund. The ornaments are $10.00 apiece, and will be available to purchase starting Sunday. Make checks payable to the church, and designate the building fund in the memo line. Thank you, Winklers for this gift to the future home of St. Augustine's! We have 30 ornaments to sell. Get one - or several - for your family and friends! 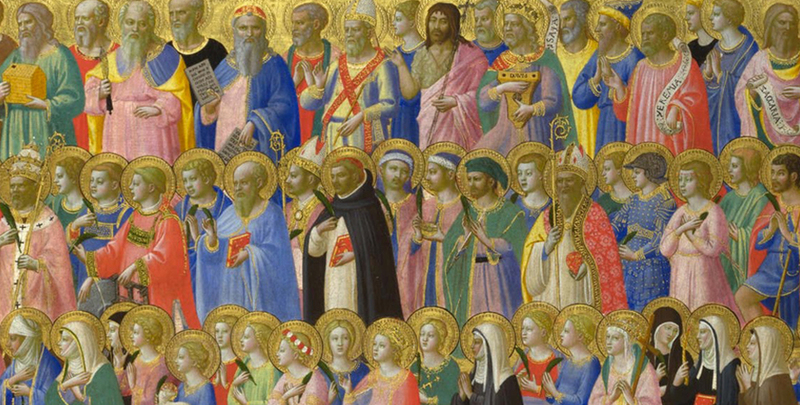 All Saints' Sunday is this Sunday, November 4th. Come and celebrate the communion of saints. 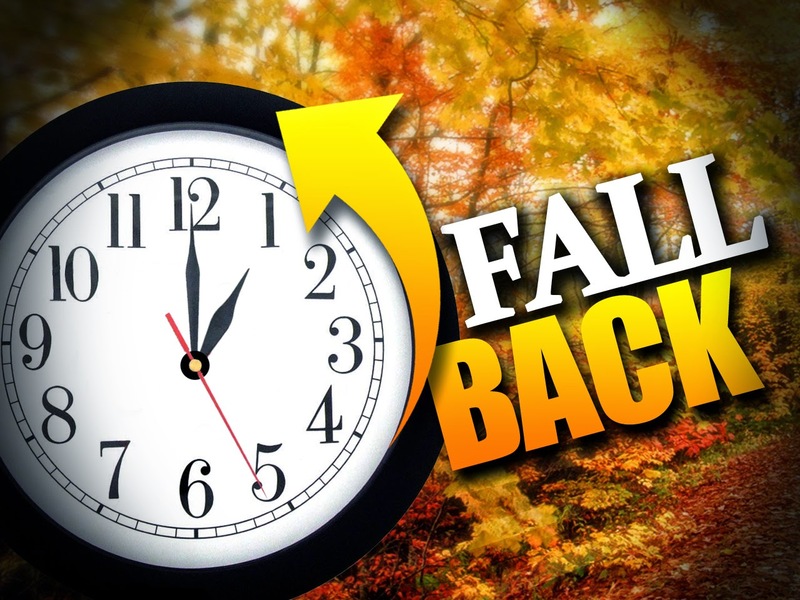 Set your clocks BACK one hour on Saturday night so that we will see you on time for All Saints' Sunday! 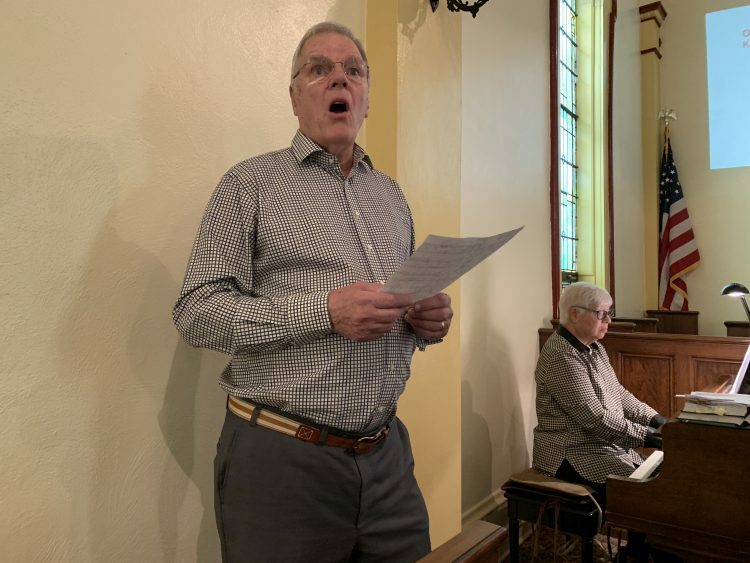 The team of Ken and Margaret singing/playing for the Lord and St. Auggie's last Sunday. Work at the altar on Sunday. Note the young folks preparing for the Eucharist under the watchful eye of Miss Jean. CLICK HERE to read/listen to Sunday's sermon. 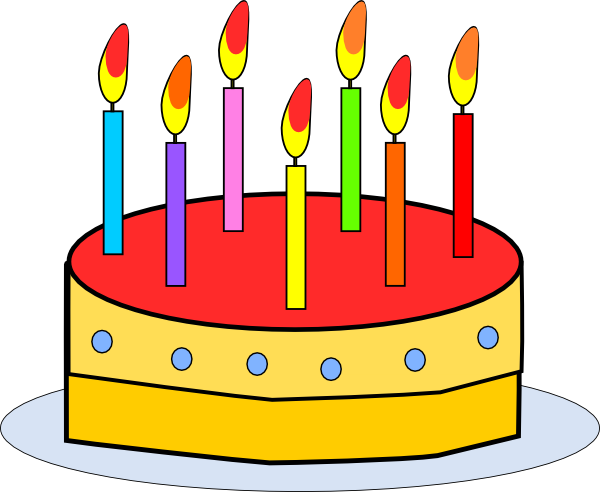 If we do not have your birthday/anniversary listed, please let Kathy Darling or Fr. Kevin know! 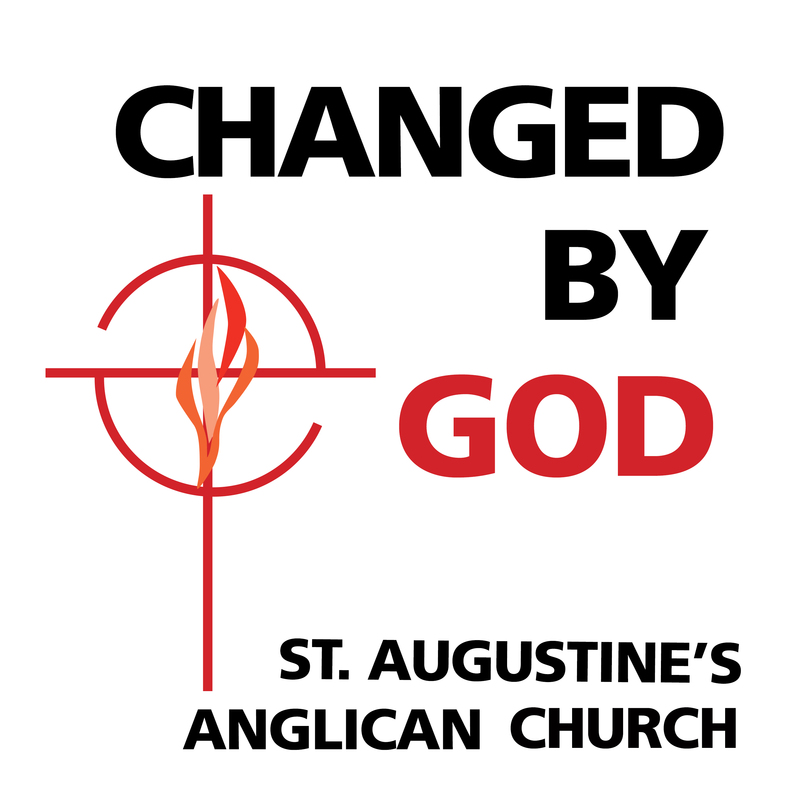 Changed by God to Make a Difference for God.You'll find the weekly sermons with messages to help you draw closer to the Lord. Check out the new Instagram account! Thanks Mary Megan!